Andrew Gerla joined JONES ROBB PLLC as an associate in 2015. His practice focuses on domestic and international patent application preparation and prosecution in a wide variety of technological fields. 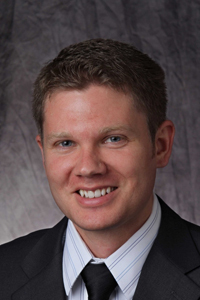 In addition, Andrew has experience in patentability analyses as well as freedom-to-operate analyses. Andrew’s technical/industry practice areas include automotive technologies, oil and gas production equipment, semiconductor architecture and manufacturing, medical devices, aerospace structures, ballistics, and consumer electronics. Andrew earned his B.S. in Mechanical Engineering from Brigham Young University in Provo, UT, and his J.D. from the BYU Clark School of Law. While pursuing his undergraduate degree, Andrew worked as an illustrator and technical writer in the legal department of a Provo, UT engineering firm. Prior to joining the firm, Andrew worked at a prominent Salt Lake City, UT patent boutique where he focused on patent preparation and prosecution.